Spray 13x9-inch (3-quart) baking dish with cooking spray. 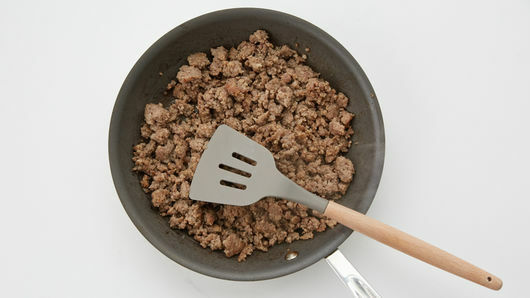 In 10-inch nonstick skillet, cook sausage over medium-high heat until no longer pink; drain. 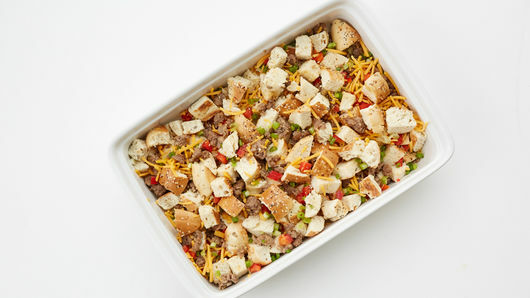 In baking dish, toss sausage, bagel cubes, green onions and bell pepper until well mixed. Set aside. In large bowl, beat eggs, half-and-half, salt and pepper with whisk until well blended. 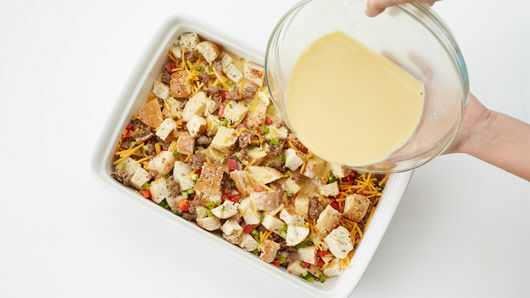 Stir in 1 cup of the cheese; pour evenly over bagel mixture in baking dish. Cover with foil; refrigerate at least 4 hours but no longer than 24 hours. Heat oven to 375°F. Uncover baking dish. Bake 30 to 40 minutes or until golden brown and knife inserted in center comes out clean. Sprinkle with remaining 1 cup cheese. Bake about 5 minutes longer or until cheese is melted. Let stand 10 minutes before serving. 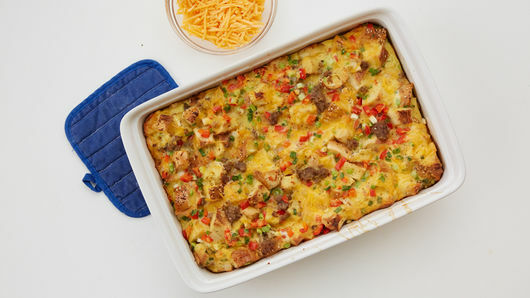 Eight slices crisply cooked bacon can be substituted for the sausage. 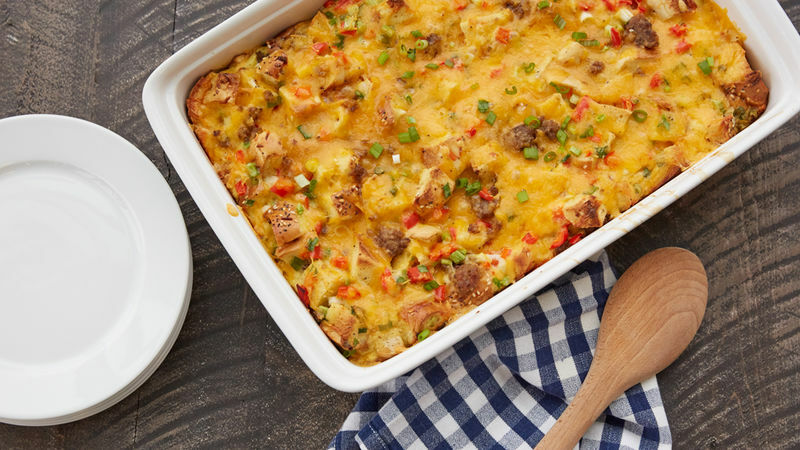 For an extra kick, use spicy pork sausage.